citrus and floral day notes, with nocturnal woody and deep animatic overtures. Cycling from former East Berlin to the West, I couldna��t resist the words a�?parfuma�� in bold outside a quaint faA�ade close to the historic Checkpoint Charlie. At Germanya��s famed Frau Tonis perfumery, I was welcomed by the charming lady a�?nosea��, owner Stefanie Hanssen. The minimalistic dA�cor was instant calm from the scorching heat. After an informal nosing of elegant citrus and floral samples, it was time for a perfume workshop by Helen Schramm, another expert. Through a detailed sampling of varied fragrancesa��paired with a sparkling Italian Prosecco frizzante, fruit platter and Grissini bread sticksa��she helped me chose my individual fragrance. 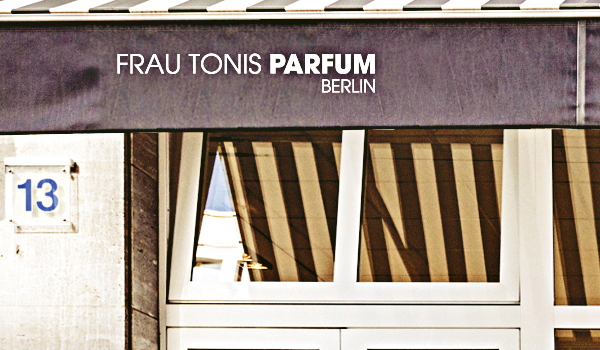 Frau Tonis boasts bespoke, nostalgia-based fragrances. No wonder the eccentric raspberry and licorice, No 37 Violeta��reminiscent of the flamboyance of Berlina��s 20s nightlifea��enamoured yesteryear German starlet Marlene Dietrich. My afternoon there created a sweet-woody scent, reminiscent of the moonlit Mediterranean soirA�es of Lebanese songstress Fairuz. a�?Fragrances have the magic to transport you back eons in just a whiff,a�? Hanssen explained. With oud, my leitmotif ingredient, and amber and tobacco, my new scent coincidentally resembled Frau Tonisa�� one-of-its-kind Oriental classic, the signature Oud Weiss, a bouquet of bergamot and sandalwood, with the gentle caress of incense. My student, and French perfume expert, Eric Anton gave me a pleasant surprise. He guided me through Antwerpa��s cobbled labyrinths, to the chic In Fine Perfumery, by legendary French nose Jean Patout. There I was welcomed by parfumeuse, Myriam Nussbaum, with a warm a�?bonjoura�� and a flute of champagne. Patouta��s fragrances are marked as much by the French flamboyance as by sensual emotionality. True to its motto, Parfums PersonnalitA� or designing personality-based bespoke fragrances, has been In Finea��s forte since its inception in France, in 1979. My MatinA�e ParfumA�e session began with cheesy hors da��oeuvres and pastries, before moving on to the degustation de parfum (perfume tasting). After my first round of a�?nosinga��a��smelling an eclectic variety of unlabelled fragrancesa��I refined my search by choosing from what Ia��d liked initially, but with my eyes closed. After testing a few scents on my wrist, to see how they reacted with my body’s temperature, we found my fragrancea��a musky, woody Zanzibar 95. Bottling it, the parfumeuse commented on my personality: a�?You like to delve into the very depth of a matter until you have complete clarity.a�? Spot on! I completed my search for fragrances in Italya��s art capital, at the 400-year-old Officina Profumo Farmaceutica di Santa Maria Novella. Housed in a heritage building with a Florentine sandstone doorway, the medieval art on the walls complimented the classicism of the aromas treasured within. Here I was bestowed an unexpected honour. My Sicilian violinist friend presented me the Acqua Colonia 1612a��with notes of rose carried forward by zesty cardamom and clovea��one of just 100 limited edition of fragrances created to commemorate their 400th grand anniversary a few years ago. Santa Maria Nouvellaa��s masterpieces reflect nose Eugenio Alphanderya��s genius, with modernism merging with classicism (many from their famed collection of 44 a�?Acqua di Coloniaa�� are ancient fragrances). Although individual workshops are not a part of their culture, the sheer variety of dazzling essences and scents will ultimately contain a�?the onea��. Also check out their range of soaps, liqueurs, foods and even cosmetics for pets.The writer is a Mumbai-based Carnatic performer and composer.